Dave and his wife Nancy purchased their current residence and moved from Chicago in 2004. Prior to that, they owned property on Hilton Head Island since 1992 and visited the island each year. Dave is a 1970 graduate of the University of Wisconsin-Madison with a BBA degree, majoring in accounting. 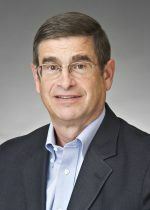 His professional career includes over 30 years with Arthur Andersen, last serving as a partner and national practice director of its forensic accounting practice area. In 2002, Dave was a founding managing director of Huron Consulting Group, retiring in 2009. He is a member of Sea Pines Country Club and in 2013 was elected to serve a three year term on the boards of Association of Sea Pines Plantation Property Owners and Sea Pines Plantation Community Service Administration, where he also serves as its Treasurer. He was re-elected to both boards in 2016 and continues to serve as Treasurer. His term expires in January, 2019. Dave has served on many not-for-profit boards in Chicago including a local United Way chapter, a mental health rehabilitation center, and a meals program for the homeless. He has also served on the boards of Wisdom Bridge Theater and Music of the Baroque, also located in Chicago. . He is currently board president of Peninsula Players Theater, a residential summer stock theater in Door County, Wisconsin, and a Trustee of the Arts Center of Coastal Carolina. Dave’s interests include golf, tennis, performing arts, competitive bridge, cycling, and world travel.